Are you searching for a multi-port smart USB wall charger for the lowest price in Canada – shop with PrimeCables. 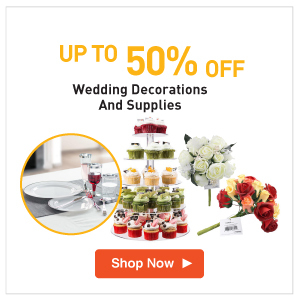 As one of Canada’s top growing eCommerce sites for USB accessories, we take pride in offering the highest quality product at the best possible deal. 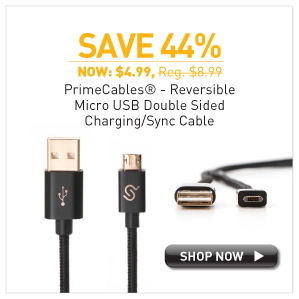 Browse hundreds of discounts, deals, and promotions on USB wall chargers, USB ports, smart chargers, USB Type-C cables, and more available exclusively through PrimeCables. Also, remember that when you assemble any order above $49, receive fast, free shipping to anywhere in Canada. Finding a USB wall charger for under $10 is not easy. 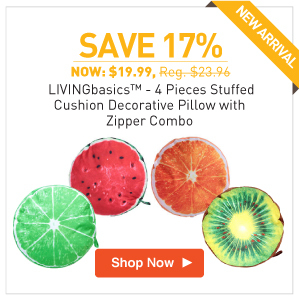 These type of accessories can go anywhere from $19.99 and higher. For a good quality one, expect to pay more. 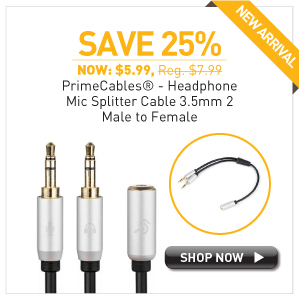 Thankfully though, PrimeCables has got some inventory that needs to go. Browse Canada’s favourite eCommerce page to see record low discounts on your favourite USB accessories including our four-port smart charging USB wall charger. Using this handy product, charge up to four USB devices at the same time. There’s no hassle and its’ setup is as simple as plugging it in. Customers who have already purchased their USB wall charger from PrimeCables have returned four- and five-star reviews. Needless to say, we have been ecstatic with the response! The 4-Port Smart Charging 34W 6.8A USB Wall Charger with Foldable US Plugs – PrimeCables® is available today for less than $10. This high performance USB wall charger comes with numerous features including over-current protection, short circuit protection, over temperature protection, and intelligent multiple safety protections ensuring your devices are fully protected every step of the way. Let’s say, if you do a lot of traveling across North America, having a multi-port charger like this can help in ensuring your devices are consistently charged. For those of us that aren’t big travelers but still want something around the house to get all of our devices charged – such as in a multi-person family home – this little gadget works wonders. 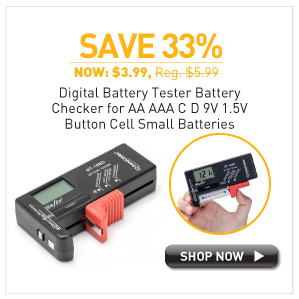 Charge multiple devices including Samsung and Android mobile phones, iPads, and more. Complete with input voltage for international travel, the unique design of this 4-port smart charging USB wall charger for under $10 will keep things easy no matter where you go. 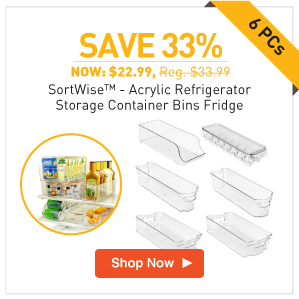 The premium casing ensures lifetime reliability and the industrial-grade plastic outer shell makes this second to none. 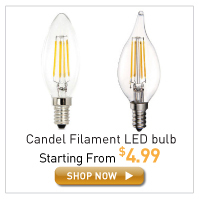 Included are intelligent LED power indicators, strong anti-interference, and guaranteed safety. Shop with PrimeCables today and begin taking advantage of one of the best 4-port smart charging USB wall chargers in Canada. 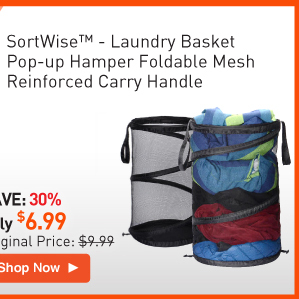 For under $10, it’s a deal that can’t be beat anywhere. 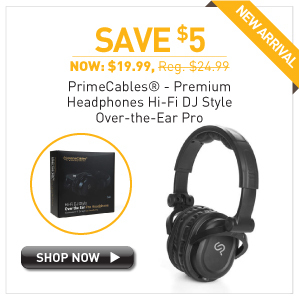 Enjoy the lowest prices and the best deals any time you shop with PrimeCables! Canada’s experiencing some of the hottest summer temperatures in decades. For families not wanting to catch some sun every day, you may find yourself crowded around the TV set enjoying some of your favourite shows, movies, sports, news, and reality programming. PrimeCables has an amazing deal going for a medium-sized 720p high-definition TV that would suit any bedroom, small condo-sized living room, or similar space. For when you’re looking to get in some time on Netflix and see what’s on the DVR, you’ll need a pretty good screen to really take in the experience. As one of Canada’s top eCommerce companies, PrimeCables hopes to deliver a high quality television product at the lowest price in the country. 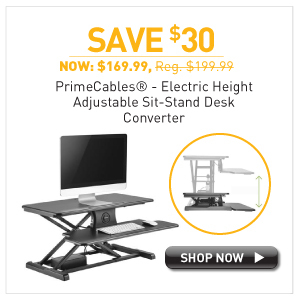 For summer 2018 only, PrimeCables is offering a three-in-one deal featuring a 32” 720p television combined with a super thin indoor HDTV antenna and an HDMI cable. The indoor HDTV antenna is a great chance to tap into local over-the-air programming without having to pay a monthly cable subscription. To anyone who has never used an antenna before, if you live in or around a major city with a broadcast tower, you may receive up to 20 channels or more for free. 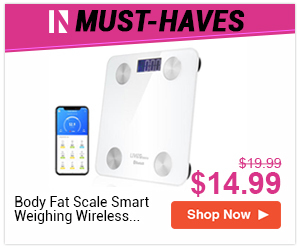 Also, the HDMI cable included in this package provides a user the chance to hook up any laptop or media box, and get themselves even more selection on the media they can consume. There’s never a shortage of things to watch. If you’re looking to spend $1,000s on some 4K smart TV, you may want to shop elsewhere. 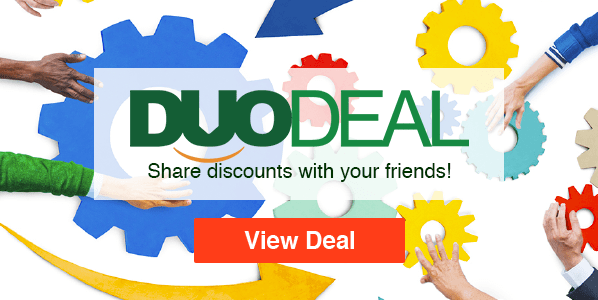 That said, if you’re looking to save money while buying a similar high-definition TV, for a limited time, you can buy the 3 in 1 HD LED TV 32″ 720p IPS Panel with 6ft HDMI Cable & HD TV Antenna – PrimeCables® for only $159.99! Get the best price for the best TV size and style you can. Now’s a great time to buy while prices are low. 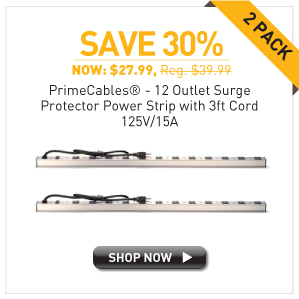 Please feel encouraged to browse some of the other amazing deals PrimeCables has in its catalogue. For example, pick up a media streaming box, a TV wall mount, and more to continue heightening your home entertainment system. 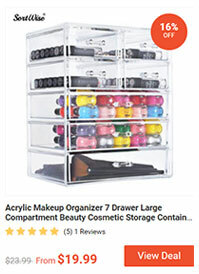 As an added bonus, buy the three-in-one deal any time in July and receive fast, free shipping included to anywhere in Canada. Buy the best TV deal in Canada on this 720p HDTV for under $170. Browse your favourite streaming programs on a TV that looks great and is second to none at its price point. 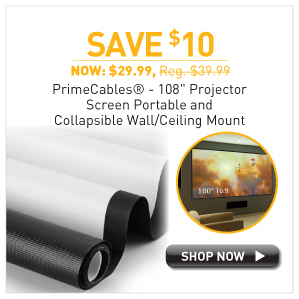 Shop today with PrimeCables, Canada’s top eCommerce site for home theater accessories. Summer songs are the best way to celebrate the beautiful weather and create memories that you won’t ever forget. Think back to your best summers. Music has played a huge role in making long-lasting nostalgia-ridden memories for almost every Canadian out there. A waterproof Bluetooth speaker can be taken anywhere we venture. Stick it in the car on the way there, use it on a hike, take it by the pool, and enjoy it wherever you venture. Spend this summer with your favourite songs and tap into playlist wherever you go. The BT3.0 IPX5 Waterproof Bluetooth Speaker – PrimeCables® is available for a limited time for only $7.99. The Bluetooth speaker is perfect to clip to a backpack or can be tagged it on a handbag. Wherever you might go camping, hiking, swimming, you can do it all with this inexpensive, high quality speaker. Summer, fall, winter, and spring, the speaker is waterproof, dustproof, and able to withstand the onslaught of even the harshest of Canadian winters. Compatible with any Bluetooth-enabled devices, experience music, podcasts, and more in stereo sound. The portable waterproof Bluetooth speaker has won high ratings in seasons’ past from Canadians across the country. 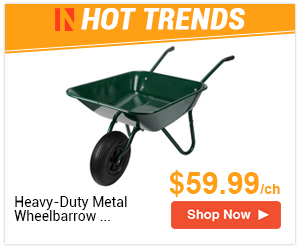 Though its price point is low, its durability is high. Able to withstand even the roughest of adventures, this product has been taken to some of the highest peaks and across some of Canada’s furthest trails. 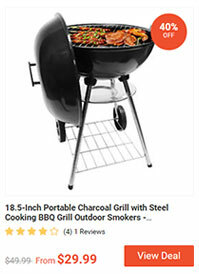 The BT3.0 IPX5 Waterproof Bluetooth Speaker – PrimeCables® for $7.99 is a trusted recommended buy, which is why it’s among the top selling products in our eCommerce catalogue. 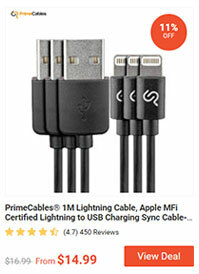 Buy it today and receive fast, free shipping to anywhere in Canada from PrimeCables on orders above $49, free returns, and a 1-year product guarantee. There are many waterproof Bluetooth speaker products out there at price points ranging from $79.99 and above. For less than $10, there’s not much that compares to this speaker. 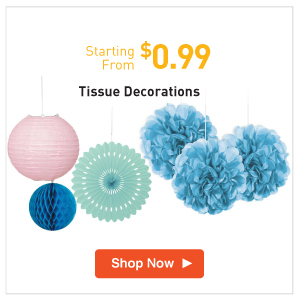 Simply put, there’s nothing better in this category for $7.99. 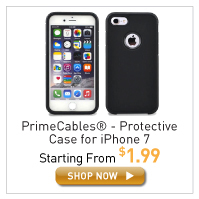 When you buy from PrimeCables, know that you’re getting the best price for the product and the best possible product. Tap into your own music or FM radio signals, and enjoy a little company on your summer adventures. Especially for anyone going it alone out there in the Canadian wild, it’s not always so fun. Take your waterproof Bluetooth speaker with you to enjoy a little bit of company. 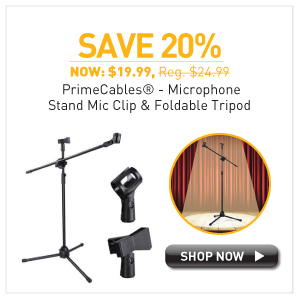 Shop PrimeCables today to enjoy more discounts, deals, and promotions on cables, adapters, mounts, sit-stands, home theater accessories, and more. Ideal for outdoor trips, in the shower, by the poolside, beach parties, water sports, and more, this Bluetooth speaker is the one to beat! What is the Best Ethernet Cable in Canada for 2018 – Read Here! Ethernet cables in Canada come in a range of types, lengths, sizes, and specifications. As one of Canada’s fastest growing eCommerce sources for Ethernet cables and accessories, we pride ourselves on having the most complete selection in the market today. PrimeCables has a wide variety of Ethernet network cables, including Cat7, Cat6/6a, Cat 5e, phone cables, fibre optic cables, and bulk network cables. We also carry numerous related products, such as keystone jacks, network routers and switchers, and keystone wall plates. But what’s the best Ethernet cable in 2018 – that’s the question! Which one you buy is ultimately up to the technology you’re buying for. As found with customers who have already done their Ethernet shopping with PrimeCables, some devices have more complex, elaborate needs than others. If you’re new to the world of Ethernet network cables and don’t have a clear idea on what you might be shopping for, this is a great place to start. Internet network connections can either operate wirelessly or through cables. As impressive as high-speed wireless internet is, Ethernet cable connections provide typically a faster performance and is less prone to lagging. For video gamers or those in need of some pretty heavy internet connectivity, Ethernet network cables are a necessary part of their network setup. If you want to upgrade your Ethernet cables or want to switch to Ethernet connection, we have a few suggestions. 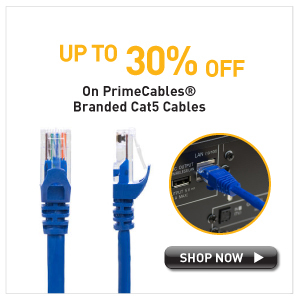 Some of Canada’s favourites from PrimeCables includes the 6FT Cat6 550MHz UTP 24AWG RJ45 Ethernet Network Cable – Blue – PrimeCables® for $1.99, the 10FT Cat6 550MHz UTP 24AWG RJ45 Ethernet Network Cable – PrimeCables® – Blue for $2.69, the 1FT 24AWG Cat5e 350MHz UTP Bare Copper Ethernet Network Cable – Monoprice® – White for $1.14, the 6FT Cat6 550MHz UTP 24AWG RJ45 Ethernet Network Cable – Red – PrimeCables® – 1/Pack for $1.99, and the 15FT Cat5e 350MHz UTP 24AWG Ethernet Network Cable – Blue – PrimeCables® – 1/Pack for $2.29. Any of these choices make for great Ethernet network cables and count as some of the best cables we have in our eCommerce catalogue. 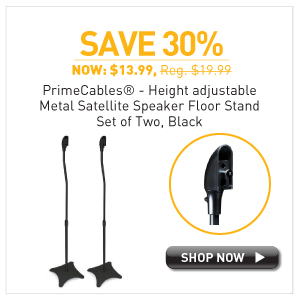 From other sources, these same cables can fetch for as high as $19.99 and above. 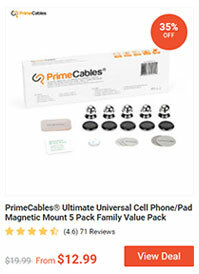 Thankfully, PrimeCables has been able to negotiate with its supplies exclusive discounts for its customers. Browse different lengths, types, and speeds to find the perfect Ethernet cable for your needs. Also, when you buy Ethernet cables in bulk from PrimeCables, receive fast, free shipping to anywhere in Canada on orders above $49! Summer provides some amazing opportunities to tune up the home entertainment setup. Buying a new TV is typically associated with sales events like Black Friday. In the summer though, buying a TV can still net some savings. As one of Canada’s fastest growing eCommerce companies in Canada, PrimeCables has several high-definition TV accessories and home theater accessories to choose from. A TV wall mount is one of our consumers’ favourites and is an amazing way to upgrade a home entertainment center. After all, a TV wall mount will get your TV affixed to the wall, suspending it in the most theatrical and immersive configuration for TVs, movies, sports, news, and more! Take time this summer to buy the ultimate TV setup before winter sets in. Believe us when we say that something as simple as a wall mount will have a huge impact on the way you consume and binge-watch media. 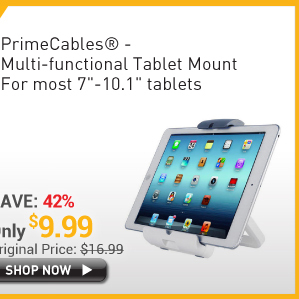 There are literally dozens of TV wall mounts to browse from PrimeCables. The most popular in summer 2018 is easily the PrimeCables® Full Motion Articulating TV Wall Mount for 37″ to 70″ Flat Panel TVs. Complete with a lifetime warranty and free shipping included to anywhere in Canada, enjoy this full-motion TV wall mount with the ability to extend, tilt, swivel, and rotate up to 110 pounds. This summer, we just had the biggest World Cup of all-time. In anticipation of the big event, we had so many Canadians come to us seeking wall mounts to properly present the spectacle. 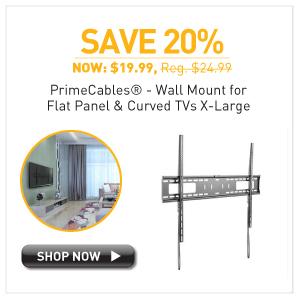 Buying a wall mount has never been easier thanks to PrimeCables deals, discounts, and promotions being hosted all summer long. 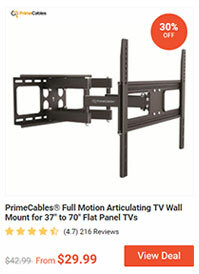 There are plenty of less expensive TV wall mounts in the PrimeCables catalogue however they come with less mobility. If you been thinking about doing the upgrade for a long time, there’s no better time than now. 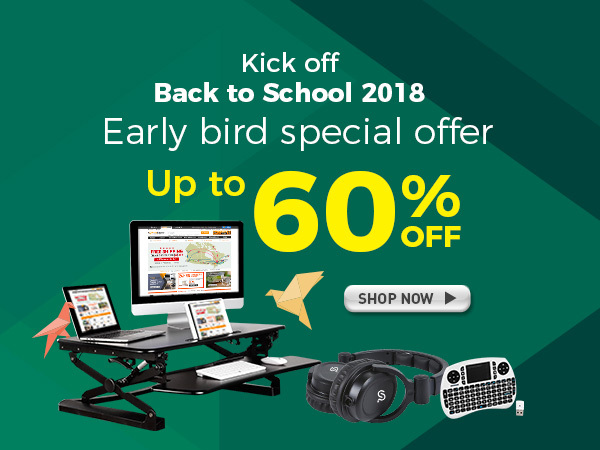 PrimeCables’ summer 2018 sales are in full swing. 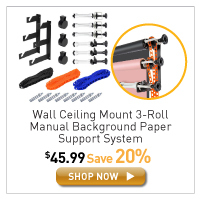 Wrap your head around exclusive deals on TV wall mounts priced as low as $5.99 for a limited time! Needless to say, there’s a lot of options out there when it comes to selecting a TV wall mount for the home. Depending on your room’s configuration, how many people you intend to have watching, and more, we’re sure you’ll know the right wall mount when you find it. This summer, use the eCommerce pages of PrimeCables to find the perfect wall mount for your needs. The rise of media streaming platforms and media boxes is hard to ignore. As more Canadians are cutting the cord and switching to media streaming boxes to tap into services like Netflix, this is putting traditional companies like Bell and Rogers on the ropes. Media streaming boxes provide a user the chance to tap into online channels, merging traditional TV viewing with internet applications. There are dozens, hundreds, and sometimes thousands of apps to tap into on a media streaming box if you know how. Instead of paying top dollar to catch a movie at the box office or having to fast-forward through commercials to watch your favorite TV, buy a cost-efficient, family-friendly media box. The X96 4K Android 7.0.1 Smart TV Box, 2+16GB ROM H.264/H.265 10Bit WIFI – PrimeCables® for $49.99 supports Netflix, Hulu, YouTube, Twitter, Facebook, and more. Install it on your TV and instantly turn it into a smart TV. The days of paying hundreds of dollars for cable, movies, and media is over – if you want it to be. Media boxes like these are becoming a near irreplaceable part of the average media home. 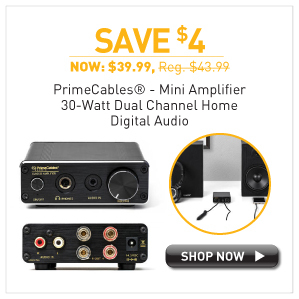 As one of Canada’s fastest growing eCommerce companies, PrimeCables encourages consumers to browse its media box selection and home theater accessories. 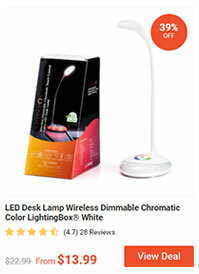 Buy the Android Smart TV Box from PrimeCables for $49.99 today and receive fast, free shipping to anywhere in Canada. Contrary to similar media boxes priced at $89.99 and above, this under-$50 smart TV box deal is difficult to pass on if you’re in the market. Browse its specifications, including quad-core processing up to 1.7GHz, an Amlogic S905X quad-core system, a highly convenient HDMI 2.0 interface, support for 4K Ultra-HD signal, and runs in a fast, stable home entertainment environment. Tap into some of the most premiere TV programmings in the entertainment space. Tag in your Netflix to watch it easily on the TV alongside your other favourite streaming services. YouTube can easily be set up via media box allows you to watch crystal clear YouTube videos on your monitor. Set up Facebook, Twitter, and other apps, and enjoy watching and consuming media on the big screen. Join the other Canadians who have jumped on board with cord cutting and get your own media box today. There’s so much incredible original content out there to browse that a media box will be well worth its price tag. Shop today with PrimeCables to enjoy one of the best cord cutting media boxes in Canada and begin reveling in hours of streaming services.